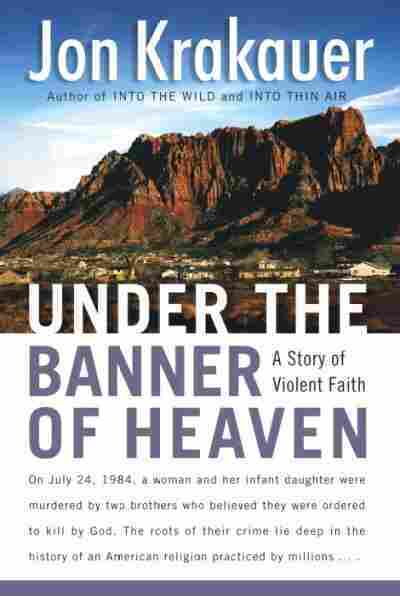 'Under the Banner of Heaven': 'Short Creek' In his book Under the Banner of Heaven, author Jon Krakauer examined the history of the Church of Jesus Christ of Latter-day Saints and of fundamentalist splinter groups, who are not Mormons and who broke off from the church after it abandoned the practice of plural marriages. The book excerpt below looks at the history of the polygamous community in Colorado City, Ariz. In his book Under the Banner of Heaven, author Jon Krakauer examined the history of the Church of Jesus Christ of Latter-day Saints and of fundamentalist splinter groups, who are not Mormons and who broke off from the church after it abandoned the practice of plural marriages. The book excerpt below looks at the history of the polygamous community in Colorado City, Ariz.
We should note that though Krakauer cites the population of Colorado City as 9,000, census figures for both Colorado City and its sister community in Hildale, Utah, combined are 6,000, and just under 4,000 for Colorado City alone. Since the book was first published, the community's prophet, Rulon Jeffs, has died; he was succeeded by his son, Warren Jeffs.